What Is A Fuel Management System? 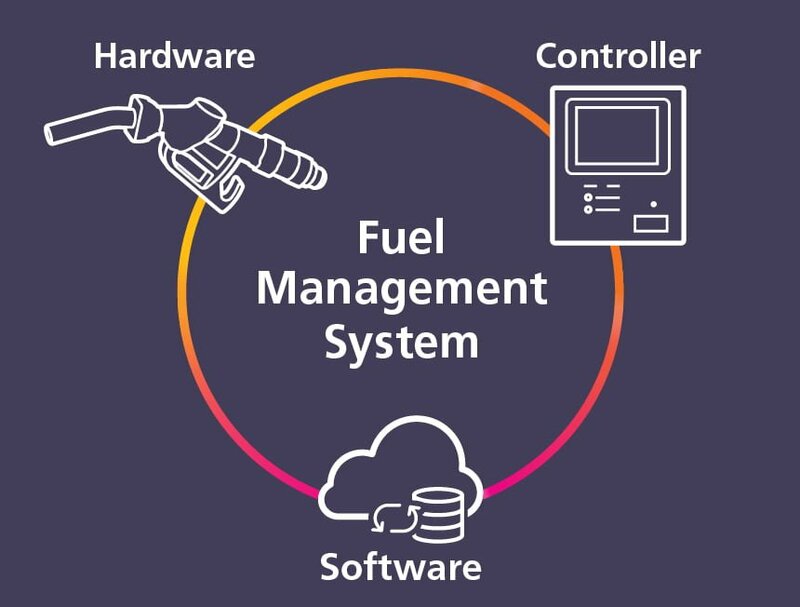 A Fuel Management System is a combination of hardware and software products, that together enable security, access, and control of fuel stores, whilst monitoring delivery and consumption. Banlaw fuel management services are for companies that need increased accuracy, accountability, security or productivity from their fluid assets. It is normal for our fuel management customers to achieve fluid reconciliation rates in excess of 99.5%. Our fuel management systems consist of hardware, controllers, and software, which are sold under the Banlaw FuelTrackTM and Banlaw ResTrackTM trademarks. Banlaw’s specialty, is diesel fuel management services for mine sites and railways. Other Banlaw customer industries include vehicle fleets/haulage, construction, ports, and non-hydrocarbon applications such as chemical supply and liquid food production. Our systems are feature-rich and incorporate the most secure and accurate technologies for vehicle Auto ID, and fluid measurement. For both supplier and client, the benefits of a Banlaw fuel management system relate to open and transparent data disclosure. There is surety at consignment; you know that the product received accurately matches delivery dockets. Banlaw fuel management systems are suitable for both fixed fuel farms, and mobile storages (service trucks). Our solutions deliver tank overfill prevention, tank level monitoring, fluid loss control, and fuel-stock condition management. On the dispense side, Banlaw fuel management systems excel in the areas of fuelling efficiency, and security (No ID, No Fuel = reduced fuel theft). We track consumption of fuels and service fluids to every asset in your fleet. Seamless processes and automatic reporting also reduce the burden of administering contractors, or other 3rd parties that access fluids on your sites. 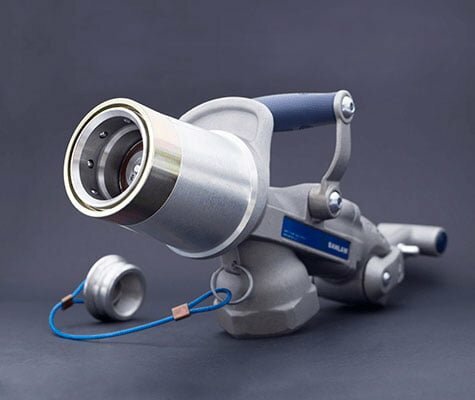 Banlaw has built much of its reputation by producing highly reliable dry break couplings for diesel refuelling. These products were built for miners, and are generally accepted to be the world’s toughest and safest dry break refuelling hardware. 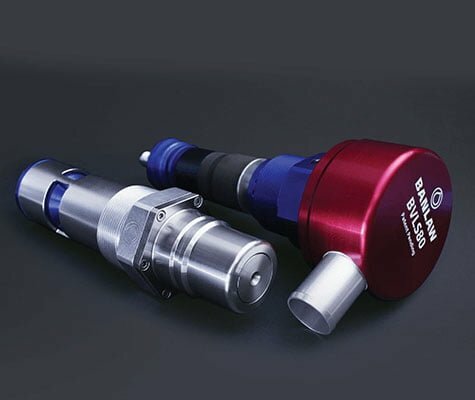 Banlaw fuel management solutions can be deployed with our unique Auto ID refuelling hardware. The Dry Break Auto ID products enable diesel refuelling at up to 1000lpm (264gpm). The Splash Fill Auto ID solution supports diesel, gasoline, and ULP fluid types. A range of other automatic and manual identification options are also available to authenticate people and machines, helping to mitigate fuel theft. 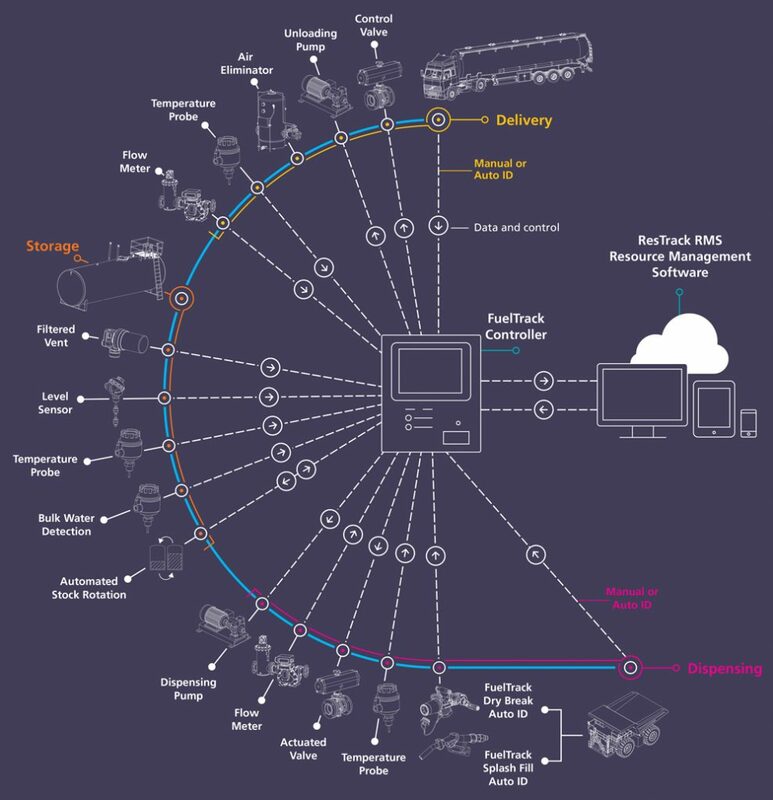 Banlaw FuelTrackTM Controllers are at the heart of the fuel management system. These units are deployed on-site in the vicinity of bulk storages, fuel pumps, and dispensing points. The Controllers manage all local fluid access and security, as well as accurately capturing data such as tank levels, fuel dispensed into equipment, fluid moves between storages, and more. Banlaw sells specific Controller versions with advanced functionality to support mobile refuelling applications (service trucks), automated stock rotation, and the integration of electronic safety systems (SIS/SIL). The Banlaw ResTrackTM Resource Management Software (RMS) is an enterprise software solution for measuring, managing, securing and reporting upon industrial fluids. The RMS can be installed on a corporate network, or as a vendor-managed online fuel management system. 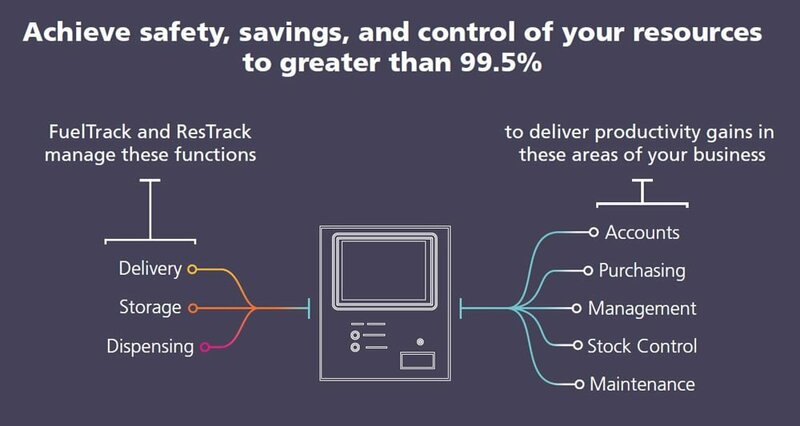 ResTrack provides secure anytime, anywhere, any device access to the fuel management system from devices that have a web browser. Banlaw ResTrackTM is an Australian Tax Office (ATO) compliant means of Fuel Tax Credit reconciliation. 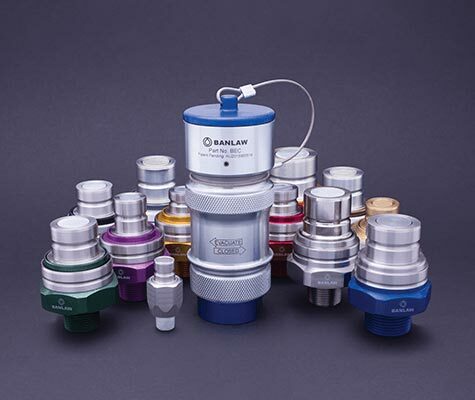 For almost four decades Banlaw have been planning, designing, manufacturing, and deploying high-performance solutions for industrial fluid management. We offer a range of engineered solutions to suit the most commonly called-for specifications, and have distilled these capabilities into compact, pre-assembled, ready-to-deploy skids. We also project manage fully customised resource management and FMS deployments to your specific scope. This means Banlaw can provide solutions of premium design, targeted to the budget and physical scale of a very wide range of facilities. Banlaw fuel management systems currently manage in-excess of 1 billion litres of fuel per month, for customers in 33 countries. Here is a link to our Financial Business Case for miners. For further insight into Banlaw’s fuel management services, view the video below or contact us and speak with a specialist.